Yesterday with Water as Leverage and RVO we had a workshop with local actors in Semarang, Indonesia. 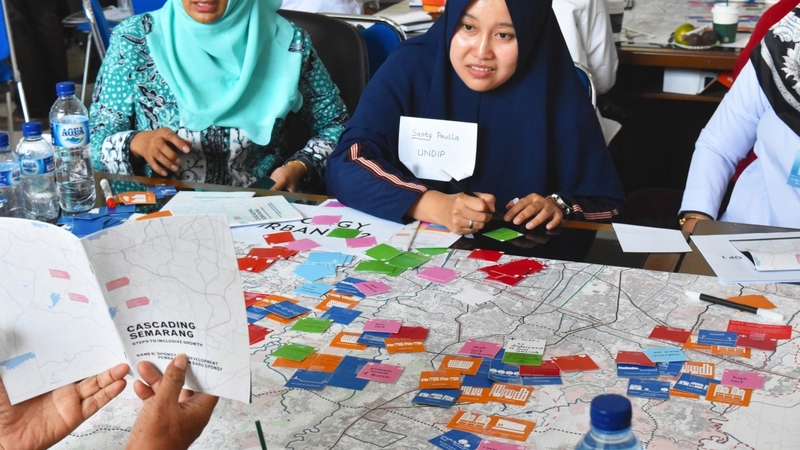 The Cascading Semarang team – MLA+ FABRICations Deltares Witteveen+Bos Indonesia, Universitas Diponegoro, Unissula, Liveable Cities IDN- developed a game to draft and test potential projects with the stakeholders involved. We combined Water management strategies, Urban development tools and additional features related to sustainable development, to be tested and evaluated in key locations around the city.